Yeongdo, Korea 1911. In a small fishing village on the banks of the East Sea, a club-footed, cleft-lipped man marries a fifteen-year-old girl. The couple have one child, their beloved daughter Sunja. When Sunja falls pregnant by a married yakuza, the family face ruin. But then Isak, a Christian minister, offers her a chance of salvation: a new life in Japan as his wife. Following a man she barely knows to a hostile country in which she has no friends, no home, and whose language she cannot speak, Sunja’s salvation is just the beginning of her story. 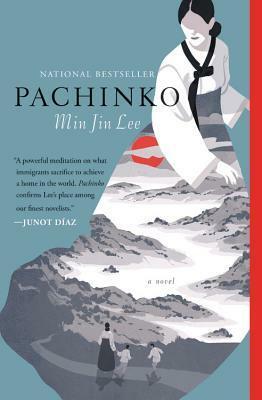 Through eight decades and four generations, Pachinko is an epic tale of family, identity, love, death and survival. I don’t know about you, but I *adore* reading books with titles that I don’t quite understand. I remember when I was reading It Ends with Us by Colleen Hoover, the title didn’t exactly make sense to me, UNTIL I finally read the part where it is contextualized and it made me feel so good. I had a similar reaction when I understood this author’s title choice – Pachinko – but with less crying involved. I went like, ‘‘Ohhh, I see!’’ and looked at the story with eyes even more open than before it seemed. This is not a book that will make you happy. It has its happy moments, happy scenes, but those scenes usually involve heartbreak as well. You think it’s going to go well, and the characters will react nicely to a situation, and then suddenly the world turns upside down. The contrary also happens. You expect the worst to happen – and it almost does – but then someone saves the day, like the time when Sunja was in danger and a hero appeared. A bit cliché I admit – off with the portrayal of damsels in distress! – but it’s part of what makes this book this book if you know what I mean. It’s a slow, long tale to be devoured in parts. Is there really someone who managed to finish this one in one sitting or one day even? I couldn’t. That’s not a requirement, though, for me to enjoy a story. It’s a book that asks to be analyzed, or at least pondered at times. It’s not a story that should simply be read and then closed and put away. There is so much to learn from it that I wouldn’t be surprised if someone came with the idea of actually studying this book in an academic setting. Because I knew absolutely nothing about the tensions between Koreans and the Japanese, to me this was not only a family tale, but also a long overdue history lesson. I can’t give it five stars because I did have to push through at times – it certainly could have been less descriptive – and not all characters were three-dimensional, but it is indeed EPIC as promised and completely different from anything I have read before. I keep picking this up but then put it back down because it seems so dense. Your review is in line with what I was expecting though! It seems like a worthy read for when I’m feeling more ambitious. But I’ll definitely have to pick it up at some point! oh, yes, definitely! It’s intimidating for sure. I suggest maybe reading like 20 pages/day until you really get into the story and characters. Happy to see you enjoyed this one! 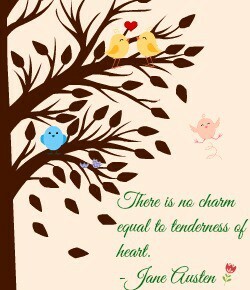 It is definitely high on my TBR list. Sounds like you learned a lot from reading it. Sounds right up my alley!